Two things continue to define creativity in Asian marketing: technology and social causes, both with wide-ranging results. Brands took inspiration in the field of technology from last year’s big award winners at Cannes Lions and Spikes Asia. Work such as Dentsu’s haunting "sound of Honda" was a standout example of how to make technology "human," as was Clemenger BBDO’s "remote-control tourist," which brought Melbourne to life for potential visitors. There were great examples of tech-enabled utility too, including M&C Saatchi Sydney’s Clever Buoy shark-protection mechanism for the telecoms company Optus. Emboldened by these success stories, brands such as Samsung stepped up their game in showcasing the potential of their products in people’s lives. 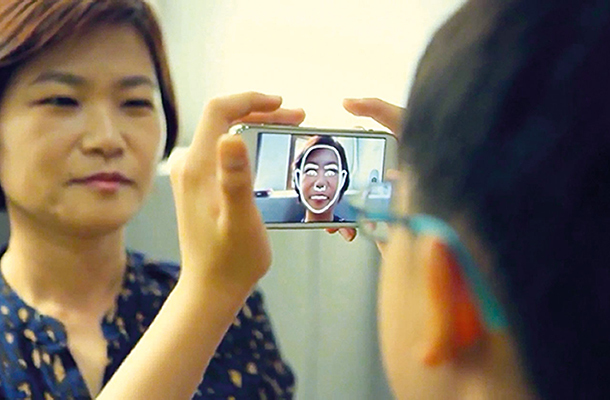 With the help of Cheil Worldwide, the Korean company made an impact with a campaign entitled "look at me," centering on an app to help autistic children make eye contact with and identify the emotions of others. Billed as "a human-centric brand ideal beyond technology," it claimed a 60% success rate in making children more confident in their interaction with others. The brand also impressed in Australia with the use of virtual-reality technology, first by helping a man witness the birth of his child from thousands of miles away, and also by bringing the terror of shark-diving to people in the parched outback. One thing Samsung would benefit from, though, is more restraint: It rather shot itself in the foot in the last instance with a corny boast to one visitor in the online video that the smartphone powering the set-up "is kind of like yours but better, because it’s a Samsung." You can’t have everything, I suppose. Nike is another brand that deserves to be held up for taking things to a new technological level. With "House of Mamba," AKQA gave Chinese basketball players an insight into Kobe Bryant’s gameplay through the use of motion-tracking and LED animation. Far more than merely telling a brand’s story, ideas like this show that it’s possible to inspire people by having them really experience it. But let’s not get carried away. High technology has yet to trickle down to much of Asia, and there are other ways to move people. I said causes were still important and, for all its commendable advancement in collaborating with startups, Unilever has not forgotten the core issues facing humanity. It continues its Help A Child Reach 5 initiative to change the handwashing habits of people in developing nations with work such as "tree of life" for Lifebuoy, the story of a woman with a close relationship with a tree that is, in fact, a manifestation of her dead son. Other examples of work designed to change things for the better include "life-saving dot," by Grey for Good, which drew attention to the problem of iodine deficiency in India with an iodine patch designed to look like a bindi; and, in Sri Lanka, "space to pray" by TBWA for AIA showed that corporations can be respectful by giving people a blank sheet of paper from a newspaper on which to rest when in prayer to keep clothes spotless. There are two distinct Asias — one highly advanced, the other struggling to catch up. In reaching both, two things hold true: the most effective ideas are the simplest and don’t just tell, they involve. The carving of ice balls in Japan is a thing of beauty, but this campaign took things far beyond that. 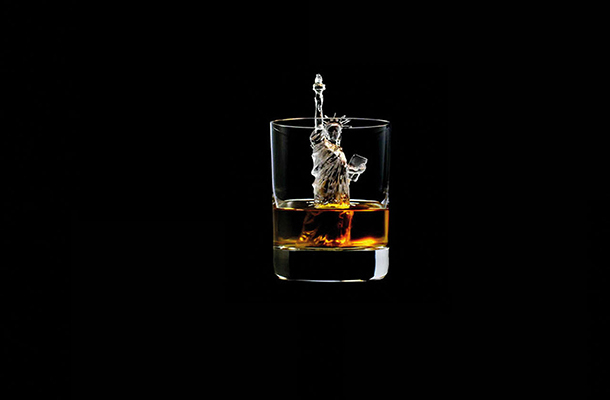 To promote its globally acclaimed whiskies, Suntory used 3D printing technology to give people the chance to create their own miniature ice sculptures. The results were stunning and ranged from Kyoto’s golden temple to a great white shark. Technology is not everything and, indeed, sometimes an anti-technological approach can lead to the most memorable work. Ikea’s "bookbook" mocked the way certain brands introduce their newfangled products by talking about a humble catalogue in the same hyperbolic language. It became the world’s most-shared ad in September last year and the most-watched YouTube video in Singapore. Not bad for an old-world relic. An immersive piece of work that is far more than a campaign — rather, an effort to inspire a new generation of Chinese basketball stars with the realization that they can learn to think and play like an NBA legend. The central idea was an LED-enabled basketball court that provided drills followed by Kobe Bryant and used motion sensors to track performance. 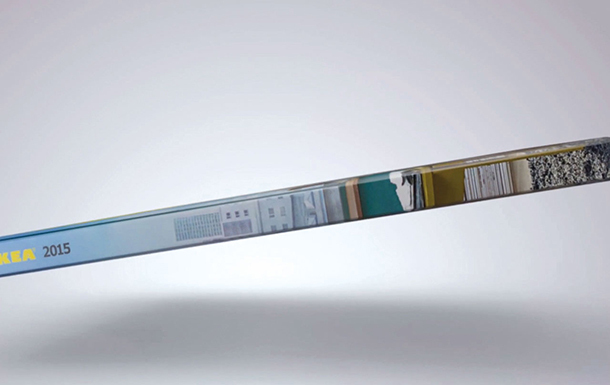 It’s an excellent example of technology becoming much bigger than the sum of its parts. The creative work behind Asia’s top brand is inconsistent, to say the least, but one of its recent highlights was an app designed to help autistic children make eye contact with others and identify the emotions of the people in their lives. The accompanying film was perfectly rendered: blurred faces gradually become sharp in a fitting representation of what the app aims to achieve. Another "book" campaign makes it into this list of contenders. Indonesia has shown promise in recent years and clearly there is no shortage of good ideas there. This stands out for its simplicity and usefulness: an app within the Facebook ecosystem that lets people register their blood types to facilitate the location of donors in the event of an emergency. A piece of work that helps fill an infrastructural hole as it raises awareness. 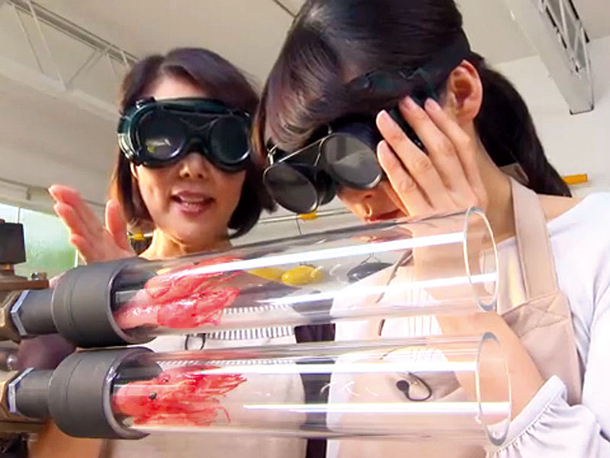 A characteristically outlandish piece of work from Japan that makes fun of short cooking shows on TV to demonstrate the extremely fast wireless service offered by NTT DoCoMo, a leading telecoms company. In this online video, two housewives use an elaborate set-up involving a cannon to batter and cook giant shrimps in a matter of seconds. Bizarre, entertaining and unforgettable. David Blecken is executive editor at Campaign Asia-Pacific. Is Kate Moss the brand ambassador to sell Kosé Decorté beyond Japan?